Prof. Jia Li got his Ph.D. in economics from Princeton University in 2011. His research focuses on nonparametric and semiparametric estimation and inference of financial risk factors, such as volatility and jumps, based on high frequency financial data. Such data exhibit a microscopic view of asset price behaviors, but also raise new challenges for econometricians. Jia is also interested in applying these tools empirical problems in derivative pricing, market microstructure and financial forecasting. 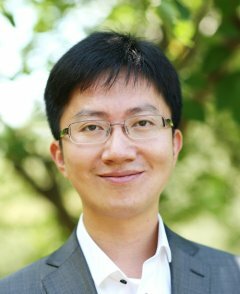 Prof. Li serves on the editorial boards of several academic journals including Econometrica, Journal of Econometrics, Journal of Business and Economic Statistics and Journal of Financial Econometrics. Jia Li is powered by WordPress at Duke WordPress Sites. Please read the Duke Wordpress Policies. Contact the Duke WordPress team.